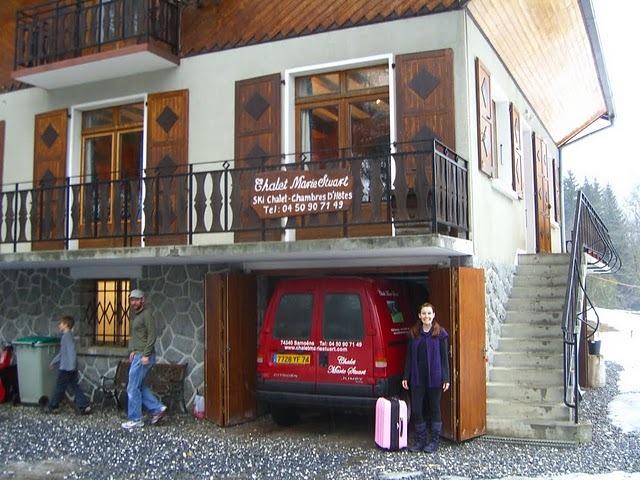 We rented a ski-chalet in Samoëns France with our friends for a week. We had 8 adults and 9 kids all together. It was a great holiday. 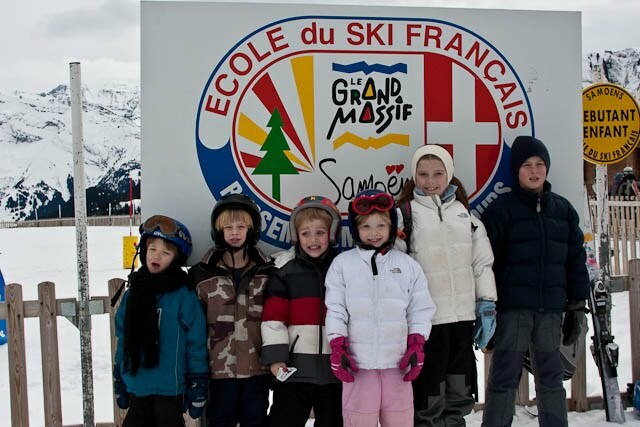 Best of all we put the kids in ski-school for a whole week and they are skiing so well now. 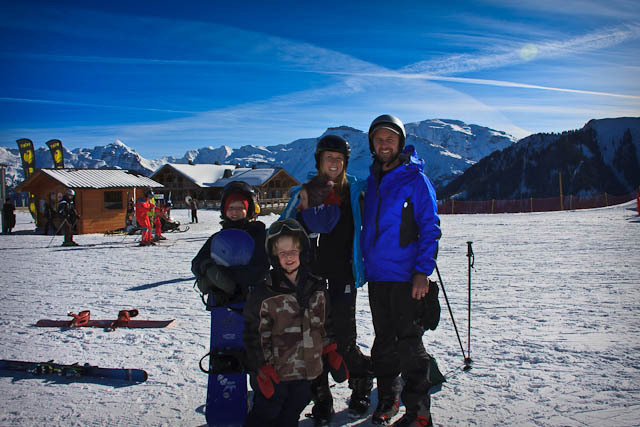 The ski/snowboard group. They had 6 days of lessons and all really improved on their skills. A few days were sunshiny and beautiful but a few were super snowy, the kids were troopers. Blue skies. That’s my kind of skiing, not a big fan of the stormy days. 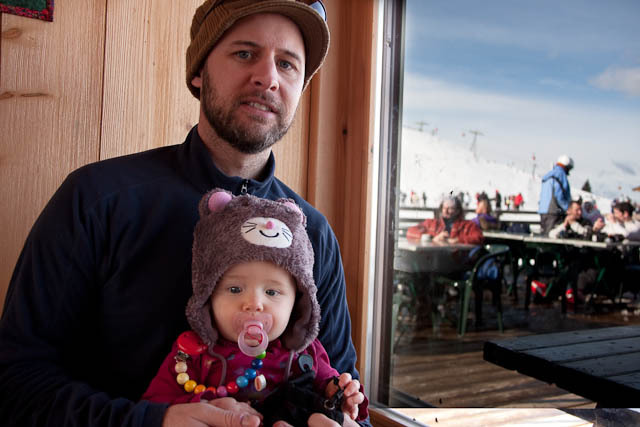 And Mom, No I did not ski with the baby attached to me…..I know you are wondering. 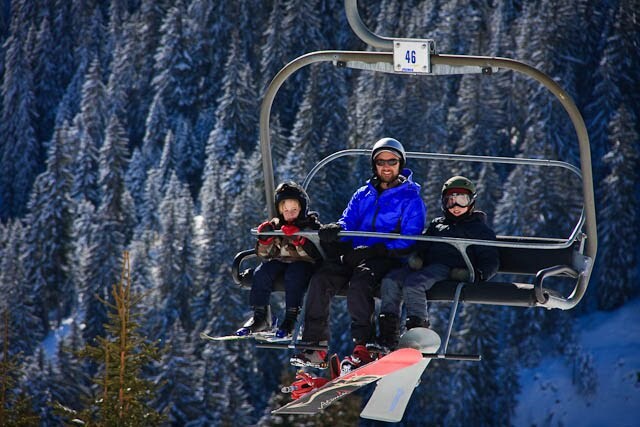 All of my boys riding the chair lift up together. 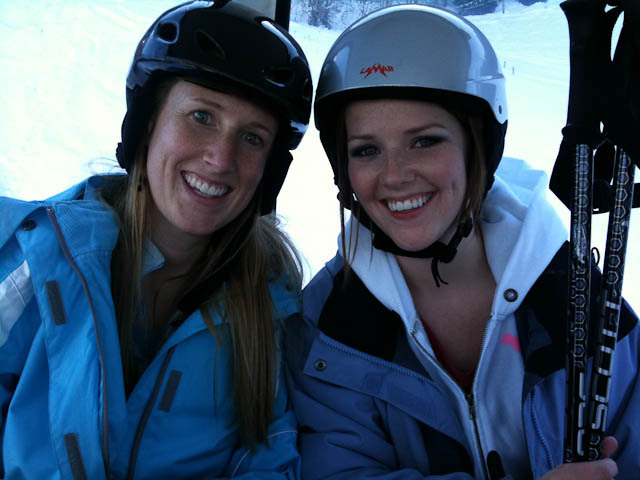 Tanya, Megan and I getting ready for a fun day on the slopes together. Jenna was such a good sport. She had never skied until this season. 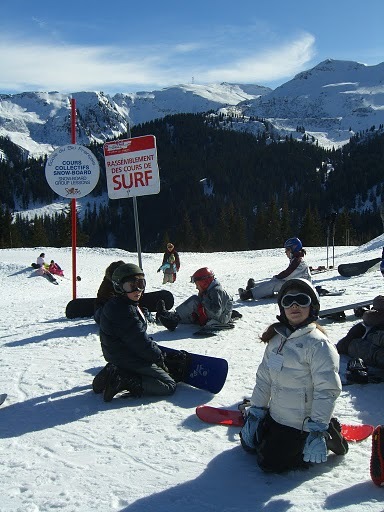 She enrolled herself in classes all week long and was an awesome skier by the end of the week. My favorite story was her ski instructor who carried a bottle of schnapps and offered it to the whole class. So funny! Taking a break in the restaurant. The nice thing about being in France was the delicious pastries we could consume while skiing. After snowboarding in a CRAZY storm. We skied one day in a white-out. Jason and I were coming down a run and literally could not see anything!! It took forever to get down the mountain with the snow pelting us the whole way down. I am a fair weather skier for sure. 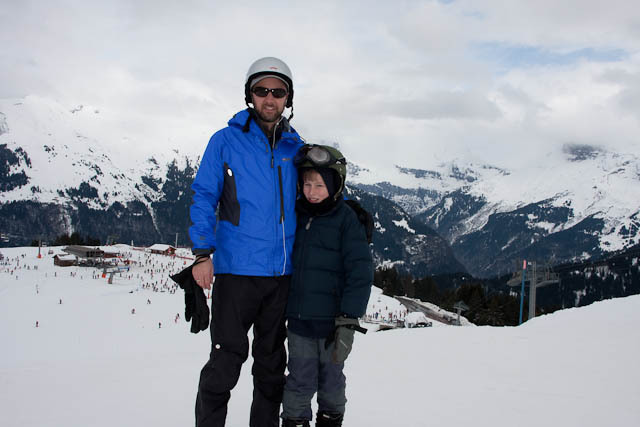 That’s Mont Blanc (15,781 ft) behind me. It was beautiful when the skies were clear to see it! Getting ready to board together. We are so excited that this season we were able to venture off bunny hills with the boys. It’s fun being able to actually ski/board with them. 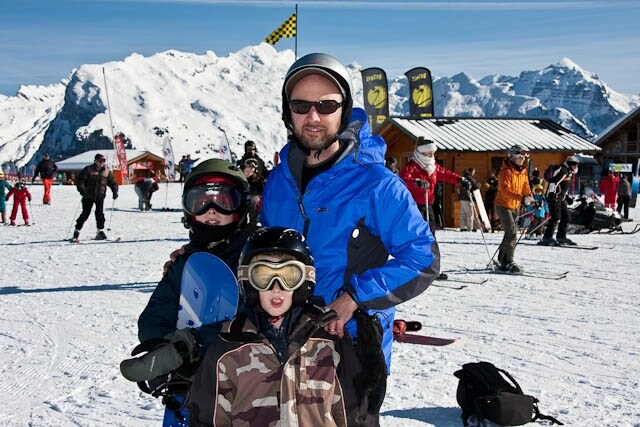 Some family time on the slopes. JEALOUS JEALOUS JEALOUS! I WANT TO SKI SO BAD! So cute! We miss you guys! I was just telling Brett yesterday that I want to play with Josie! loved these pictures. In the video, where they jumping on just flat snow? haha. so cute. I think the ski school was awesome and so worth it. 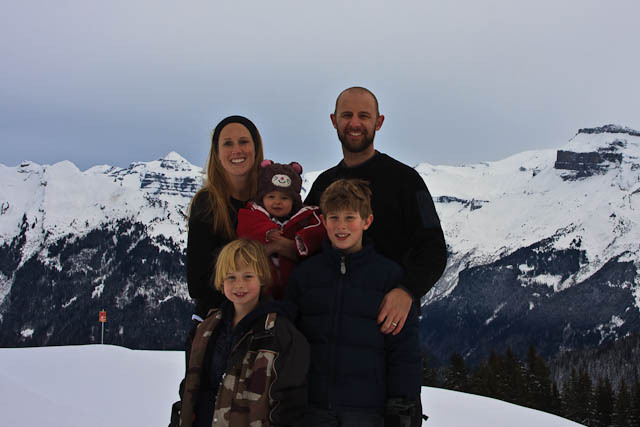 I love the last family pic with Josie smiling…did you take her up the mountain? you look “high” up! Don't take this the wrong way but your family makes me a little sick. You're all so cute and you're so adventurous!!! I really need you to move back and make me cool!!! That looks sooooo fun! 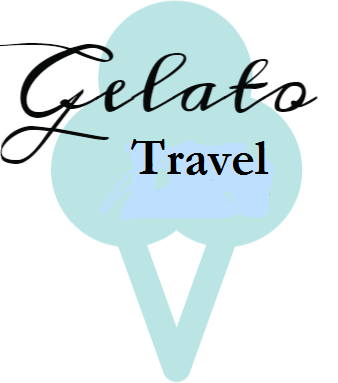 I'm so jealous, esp because you're in the Alps! 😦 Love the video too! 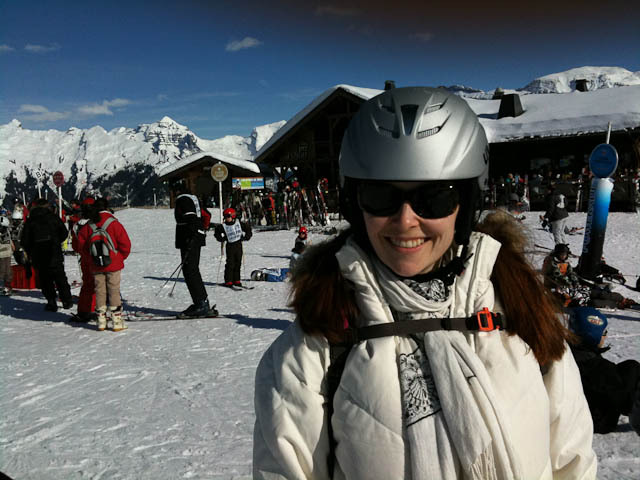 Great chalet, many friends, blue skies (mostly)and lots of snow!! 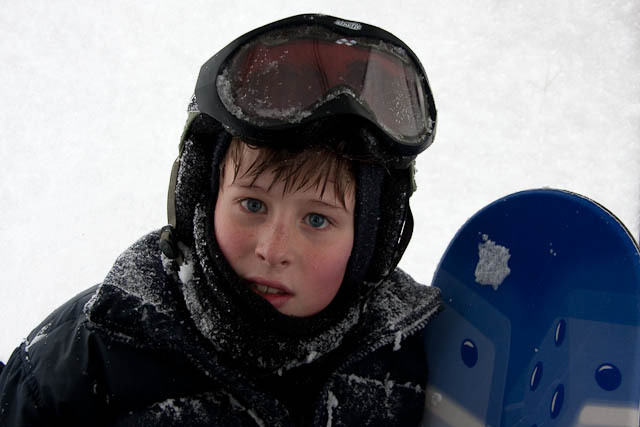 !Talk about the ingredients for fun….there were so many amazing pictures, your family, on the lift, each of your faces, the kids with friends,and I love the color of your jacket, Julie! (Thanks for the disclaimer on not skiing with Josie)!!! !